In part 4 of this series I configured Microsoft Exchange to work with nginx. In this final part of the series I tidy up the loose ends so it can be put live. The first thing to configure is synchronise the nginx+ configs between both VMs. To do this we will use rsync over SSH. cat id_rsa.pub | ssh ha2.mail.mdb-lab.com "mkdir .ssh && chmod 700 .ssh && cat > .ssh/authorized_keys2"
Test this by pausing the VM currently owning the cluster addresses and verifying they have transferred. 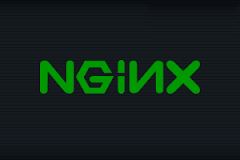 I would like to thank the technical guys at Nginx for help with the SELinux component. More information regarding this can be found on their blog at http://nginx.com/blog/nginx-se-linux-changes-upgrading-rhel-6-6/. Nick Shadrin at Nginx has also put together a comprehensive Exchange configuration guide on their site. I highly recommend checking it out – http://nginx.com/blog/load-balancing-microsoft-exchange-nginx-plus-r6/. Now that mainstream support for Microsoft Threat Management Gateway 2010 has ended (extended support is available till 14 April 2020), there is an opportunity to leverage technologies such as nginx+ to load-balance and publish Microsoft Exchange 2013 externally when the time comes. If there is, I’ll be sure to document it! In this article we have provided a method of syncing the configs, tightened security and re-enabled SELinux. That completes the series on how to configure nginx+ to load-balance Microsoft Exchange. In part 3 of this series I configured nginx+ to support Microsoft Exchange. In this part, I configure Microsoft Exchange 2010/13. The Exchange solution I have designed is based on the concept of a production and resource domain. All user accounts are hosted in the production domains (nl.mdb-lab.com and uk.mdb-lab.com), and all Exchange-related objects reside in the resource domain (mail.mdb-lab.com). A trust exists between the two forests, and accounts are linked to mailboxes. Whilst there are many advantages to this design, it does add extra complexity and there are simpler ways to bring Exchange to the organisation. The first disadvantage is in the choice of name I made for the resource domain. Ideally I wanted to use a consistent name across the estate for all services – mail.mdb-lab.com. Unfortunately with DNS stub domain created to support the forest trust won’t allow this – any request for mail.mdb-lab.com will also return the IP addresses of the two domain controllers in the resource domain. The only way around this it to configure internal hosts to use outlook.mail.mdb-lab.com and use mail.mdb-lab.com for external clients. In hindsight I wish I had of named the domain exchange2010.mdb-lab.com. At first the aim is to load-balance Exchange front-end traffic for users in Amsterdam for both Outlook Web App and the Outlook client. Exchange ActiveSync will also benefit from this additional layer of redundancy, along with using TMG to publish this to external users. When the Outlook client communicates with the Client Access Servers it does so by first connecting the TCP Endpoint Mapper on tcp/135. After that, it chooses a port from the dynamic RPC port range (6005-59530). For load balancing to work, we need to restrict this to as few ports as possible. We do this by setting the ports in the registry for the Exchange RPC and Address Book services. netstat -an -p tcp | find "60000"
That’s it for the Exchange configuration. In part 5 I tidy up a few things before the solution can be put live. In part 2 of this series I installed nginx+ on both HA1 and HA2. In this part, I configure nginx+ to support Microsoft Exchange 2010/13. Make sure the config is the same on both HA1 and HA2. In part 5 I’ll configure rsync to ensure the configs are kept in sync. That’s it for configuring nginx+. In part 4 I’ll configure Exchange to support our nginx+ configuration. In part 1 of this series I installed and configured keepalived in preparation for installing nginx+. In this part, I install nginx+. If there is any issue with CA.crt (ie. it is missing or the permissions are not set correctly) then yum will not install the software. The same goes for nginx.repo.crt. That’s all there is to the nginx+ installation. In part 3, I configure nginx+ to load-balance the Microsoft Exchange environment. A couple of weeks ago a couple of my colleagues and I came to the conclusion that a client’s Microsoft Exchange platform was in need of some load-balancing. Normally we achieve this by installing a pair of hardware load-balancers from F5. Whilst these are excellent products and are well supported in our company, they’re certainly not cheap. Unfortunately, one size definitely does not fit all with our customers. Some demand the performance of the Bugatti Veyron, others only require the reliability of a Toyota Corolla. With that in mind we decided to look at other options. I’ve been load-balancing Exchange and VMware View for a while here in the lab using keepalived and HAProxy. However, with our company looking at making the move to Softlayer, it was suggested this would be a good time to look at a product they support – nginx+. Before I can get to that, I need to install and configure keepalived to support my nginx+ installation. Firstly I spun-up two RHEL 6.6 VMs in my lab. These consisted of 1 vCPU, 1Gb of RAM and a 16Gb thin-provisioned disk. They were then patched using Spacewalk. The IP addresses for both boxes were set to 172.17.80.11/24 and 172.17.80.12/24 and each vmnic was placed in VLAN80. Next I acquired the RPM for keepalived. At the time of writing, v1.2.17 is the latest version available. You can download a source tarball from the keepalived site, but for the sake of ease I decided to get the RPM from rpmfind.net. Unfortunately the latest they have for RHEL/CentOS6 is 1.2.13, which for the lab is close enough. Please note: for deploying in a production environment I would highly recommend obtaining the latest version direct from Red Hat’s Enterprise Load Balancer add-on. I also added a few other lines to iptables allow stuff like ICMP etc. And that completes the keepalived installation and configuration. In part 2, I install nginx+ on both VMs, before finally configuring it for Microsoft Exchange.